Tehran/Pforzheim/Freiburg, April 12, 2018 – The Iranian solar market is picking up speed. Projects such as the 1.5 megawatt (MW) photovoltaic installation, which was recently completed by Shahrekord Cement Industries Company, an Iranian cement producer, show that the Iranian market is growing. One of the drivers of this recent growth are the Iranian government’s comprehensive and long-term feed-in tariffs. The system near the city of Shahrekord in western Iran was deployed by the Iranian company Noursun Energy. With over 500 participants, Intersolar Summit Iran was such a huge success in 2017, that the program for 2018 is being expanded to two days. There will be a comprehensive conference program and an accompanying exhibition on the first day, and networking events and excursions on the second day. After the first Intersolar Summit Iran in 2016 attracted an impressive 400 attendees, the event grew to over 500 participants in 2017. Given the promising development in the Iranian market, the organizers are turning their attention to further expansion of Intersolar Summit Iran into the two-day Intersolar Iran Conference. While the large-scale PV plant at Shahrekord Cement Industries Company is currently just one of many projects in Iran, several of which are considerably larger, the Shahrekord project is a particularly good example of how the area’s often harsh climatic conditions can be overcome. Hot summers and cold winters are characteristic of the region around Shahr-e Kord. Here, at an altitude of 2,300 meters above sea level, ambient temperatures range from -10 to +50 degrees Celsius. This is why Fronius inverters that are suited for the operating range from -40 to +60 degrees Celsius were selected. The cement producer is aiming for a total output of 2,953 megawatt hours (MWh) per year. A large-scale PV plant capable of producing 10 MW was recently completed by Gostaresh Energy in Yazd Province in central Iran, and a project of similar size led by Carlo Maresca, an Italian company, was installed on Qeschm Island. Many others are being planned, including a 17 MW system in Markazi Province. 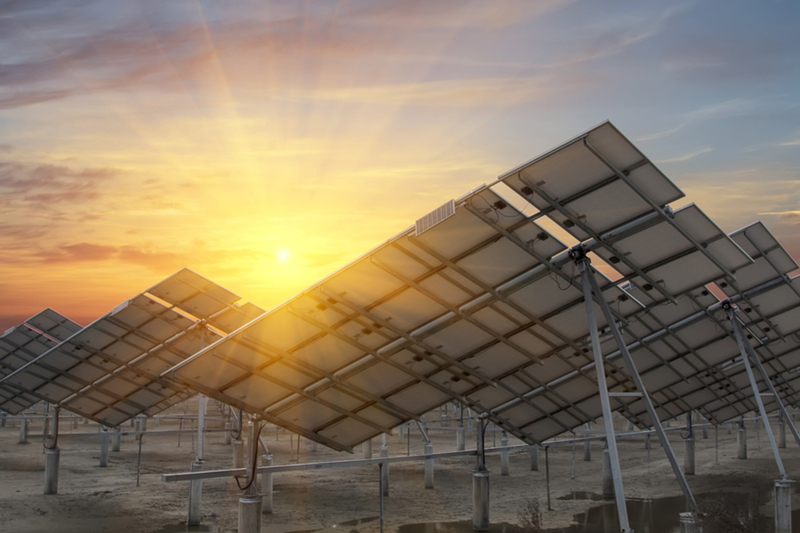 Quercus Investment Partners, a financial investor based in London, plans to begin construction of a photovoltaics park in Iran in 2018, with a total capacity of 600 MW and an investment volume of more than 500 million euros. The Iranian corporation Mokran, a subsidiary of International Power Invest AG from Switzerland, plans to construct the first Iranian PV production plant on Kish Island in the Persian Gulf. Although many international investors are already taking part in the various projects, several companies and financial backers continue to take a wait-and-see attitude towards the Iranian market. Nevertheless, many countries are showing growing interest in the Iranian market. At the end of 2017, the Iranian Deputy Oil Minister Amir Hossein Zamaninia and the German ambassador Michael Klor-Berchtold hosted talks on how to promote German investments into the Iranian energy sector. Financing opportunities and international cooperation are thus an important focal point of the Intersolar Iran conference. The conference and accompanying exhibition take place at the Espinas Palace Hotel in Tehran on November 12, 2018 to address the most important topics in the solar industry in Iran and entry of international companies into the growing market. The second day of the Intersolar Iran Conference is fully dedicated to professional networking and excursions. As the largest event of its kind, the Intersolar Iran Conference brings key players and international industry together in one location and creates the foundation for further growth in the solar industry in the region. The Intersolar Iran Conference takes place in Tehran November 12–13, 2018. Organizers: The Intersolar Iran Conference is organized by Solar Promotion International GmbH and Freiburg Management and Marketing International GmbH.